Setup, on the whole, went very smoothly, the base unit comes pre-assembled and following the easy to read instruction manual you simply have to attach the neck, feet, pedals and seat. In all, it took around 90 minutes to put together. 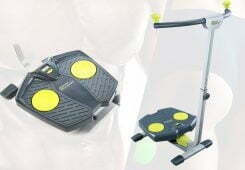 I have to admit that the instruction booklet is one of the most details of all the fitness brands. 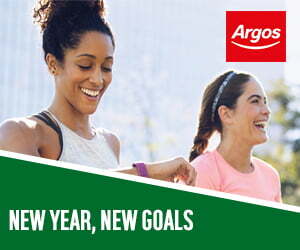 Offering additional details such as exercise intensity, fitness tips and a muscle chart. The last few pages offering advice on stretching techniques. Once the build was completed I was initially very happy with the amount of features that are offered on this bike. Everything you would expect to see on a premium spec exercise bike is present on the Roger black. Build quality is looking really positive so far with what can only be described as chunky support legs, enclosed base unit hiding all the moving parts and a good quality neck and seat. 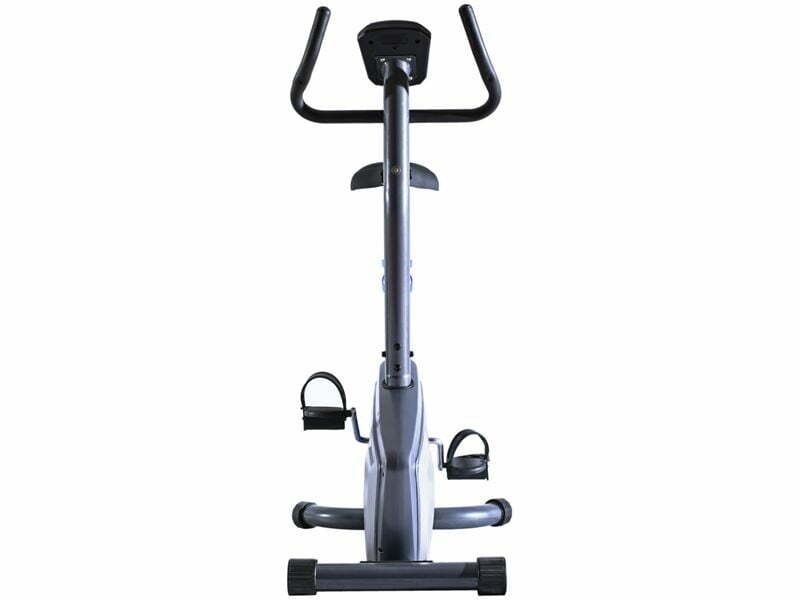 You don’t often find an adjustable seat that slide vertically and both horizontality on such a low prices exercise bike. It’s a nice addition as it really allows you to get the most comfortable potion during your workout. As the seat is adjustable it makes it much easier for both myself and my partner to use as I am a good 18 inches taller than she is. 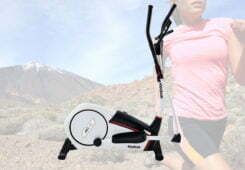 We simply remember the settings and adjust them prior to starting our workouts. 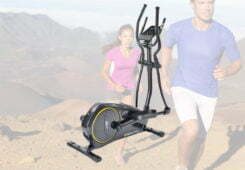 One area that I knew that the Reebok plus magnetic bike would struggle is with the fly wheel and resistance settings. The fly wheel is much lighter than you would find on other more premium bike which does give a slightly cheaper feel when compared to a bike with electronic resistance. The good news is that the bikes magnetic resistance system makes up for this shortfall in fly wheel weight and gave me a very consistent ride throughout. 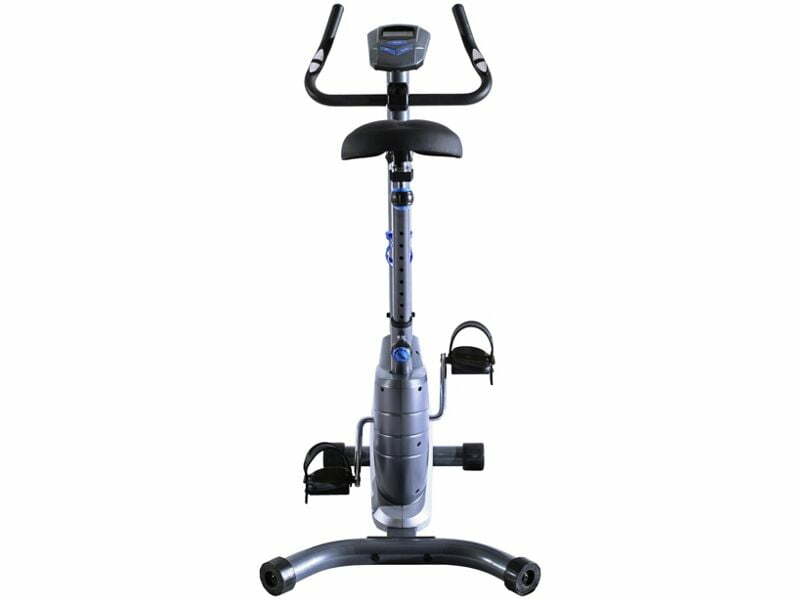 Its 8 levels of tension control that can be easily adjusted on the neck of the bike and gives a very good range of resistance. 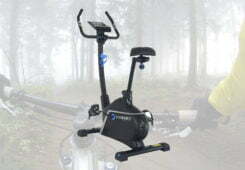 I have tested some more basic bikes that have had many complaints for their lack of resistance, even at higher settings. I can confirm that the Roger black plus magnetic bike does not suffer from this issue. 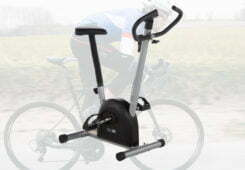 Roger Black have added in both adjustable handlebars and self-levelling pedals. 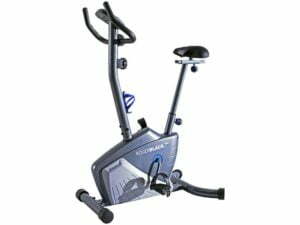 The self-levelling pedals are a really nice addition that saves you from having to reach down and strap in your feet each time you want to begin your workout. Much like the Reebok GB40s we reviewed recently the handlebars are adjustable, they can be moved in a clockwise or anticlockwise motion to make your ride more comfortable. Some may prefer a more traditional cycling stance whereas others prefer an upright position. 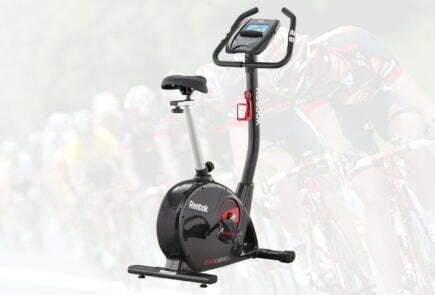 The LCD unit included with the Roger Black Plus is very basic when compared to other brands. 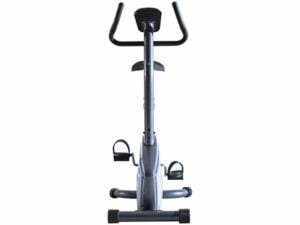 This may suit some users whereas if you are looking for advanced workout programmes and feedback then you will have to increase your budget and buy a different bike. 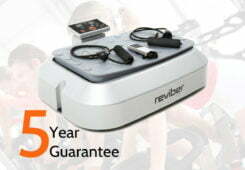 This is a common theme with non-mains powered fitness equipment. 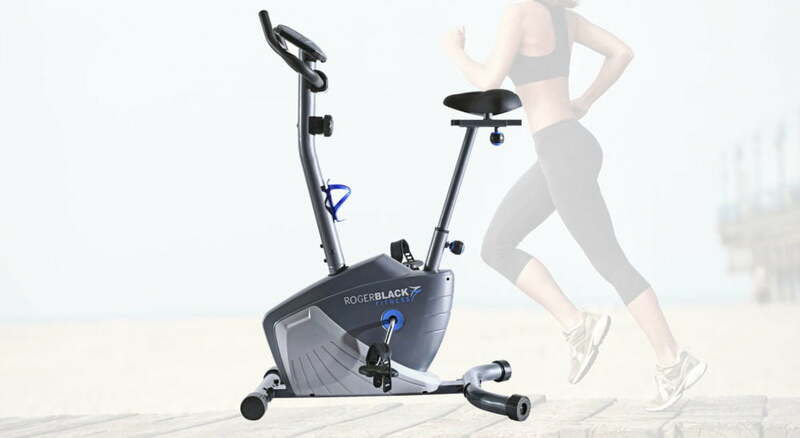 The Roger Black Plus does however come with a basic level of feedback including time, speed, distance, calories and heart rate monitor. The heart rate monitor is recorded from the sensors located on the hand grips and is a nice addition that you don’t usually find on magnetic bikes. 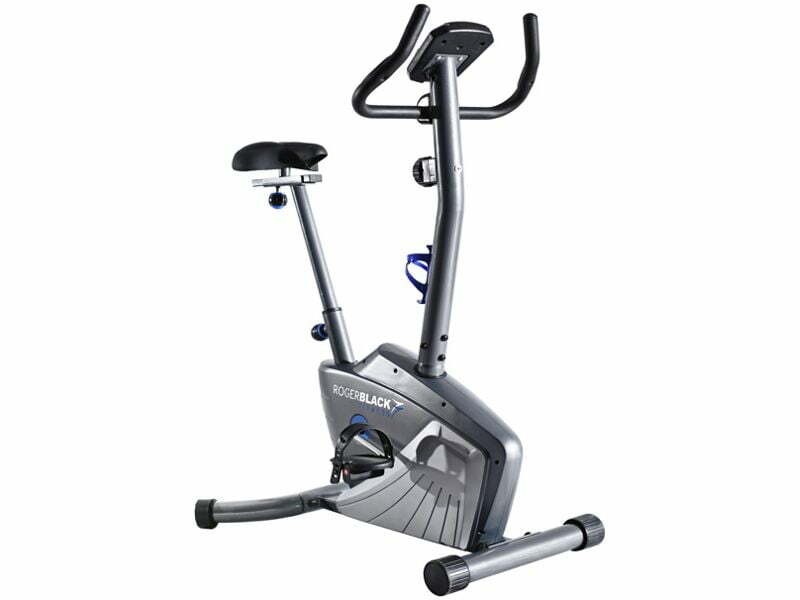 The Roger Black Plus is a good option for those looking for a good quality exercise bike on a tight budget. 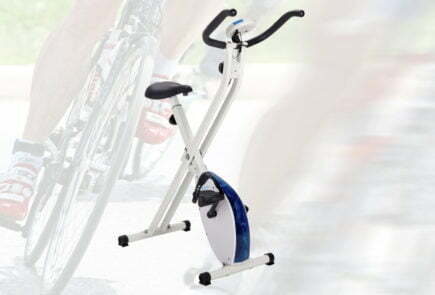 For what it lacks in advanced features you would find on a mains powered bike you get back in flexibility of being able to use it in any room and not having to be near a power socket. 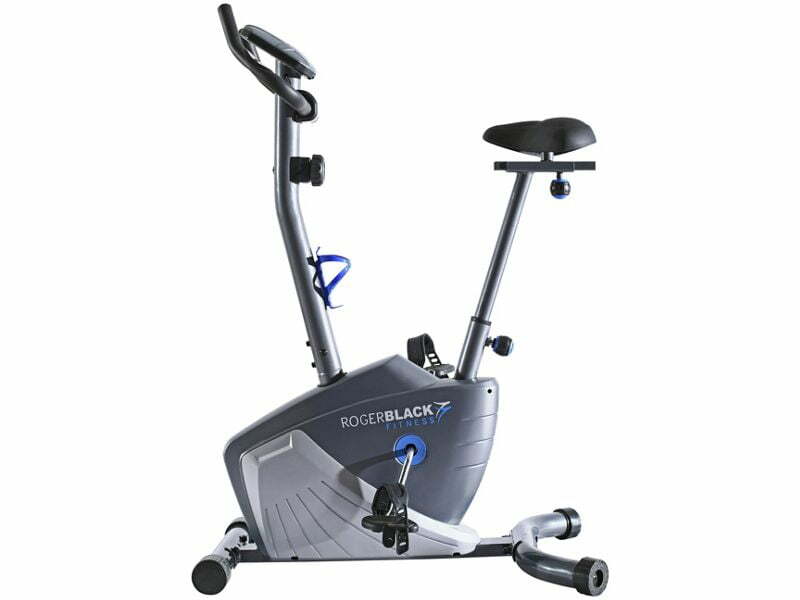 You can’t fault the build quality of the Roger Black Plus as the setup is very similar to what we see on premium models. The Roger black magnetic bike is a mid range all rounder, so how does it compare in our tests?